Hourglass Conversations and Workshops What’s it all about? After years of putting others first, we lost parts of ourselves – our ability to daydream and too often, our innate nature – to simply experience the joy and beauty around us. Those qualities are not lost, they’ve been forgotten and can be rediscovered to enhance your life. We help you identify and re-establish these wonderful qualities of yours, so that you are able to enjoy life more now and in your future. Your dreams are what light you up inside and make you beautiful. When you are in touch with them you are more motivated, attractive and radiant. Life is good. Hourglass Conversations and Workshops are the answer for anyone experiencing a life change on the mid-life journey. We offer fun, informative and highly interactive programs designed to help you move forward, get in touch with old passions, and reconnect with your true self again. 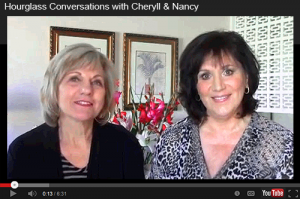 In our blog and videos we share insights and tips as we enter mid-life and beyond. We encourage you to join in our conversations and join our community. Are Hourglass Workshops for Me? ….feel there’s more for you at this time of life. ….are going through a life changing event. ….feel discontent for no particular reason. ….want to feel excited about life again. ….want to kick start a sensuous second half of your life. 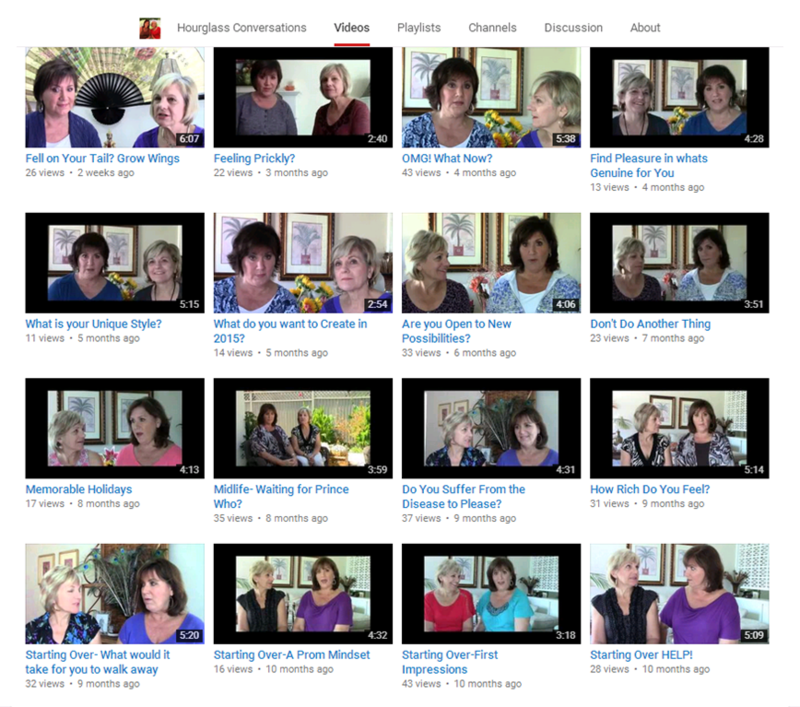 View move VIDEOS – Hourglass Conversations on YouTube. Learn More about Hourglass Workshops on the Hourglass Conversations website.